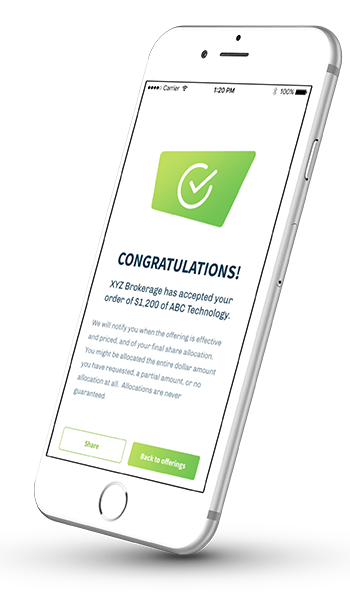 *Not all brokerages are currently supported. There is no guarantee of an allocation in any offering. WHAT IS THE CLICKIPO APP? 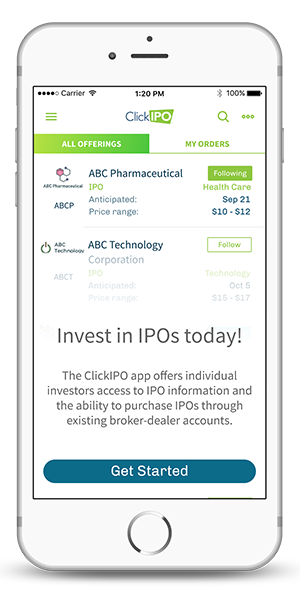 The ClickIPO app allows everyday investors to discover, follow, share and even participate in public offerings using a supported brokerage account. 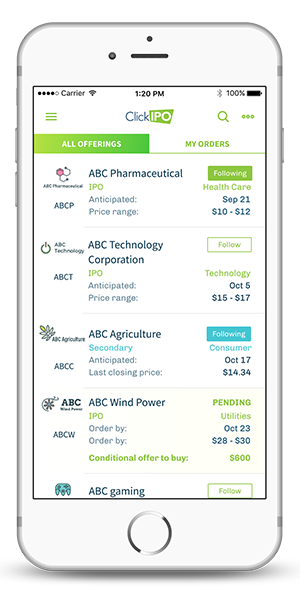 Investors can use ClickIPO to invest in companies at the Initial Public Offering price (commission free), before the shares trade on a stock exchange. For years, individual retail investors have been trying to get access to IPOs with little to no success. Finally, you have a marketplace that makes it possible. 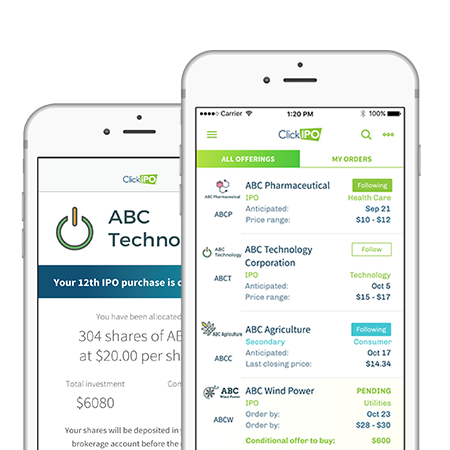 The ClickIPO platform is designed to give you access to IPOs with generally no minimum investment required. Want more allocation? Build your ClickIPO Investor Score(™). A higher score increases your chances of receiving and increasing your allocation. * Allocation is not guaranteed and is based on multiple factors. You might receive some of, none of, or all of your requested allocation. 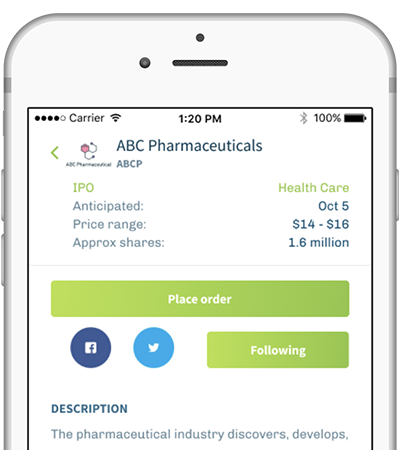 ClickIPO makes it easy to follow and share what’s happening with the hundreds of public offerings every year… Find an IPO. Research. Invest.